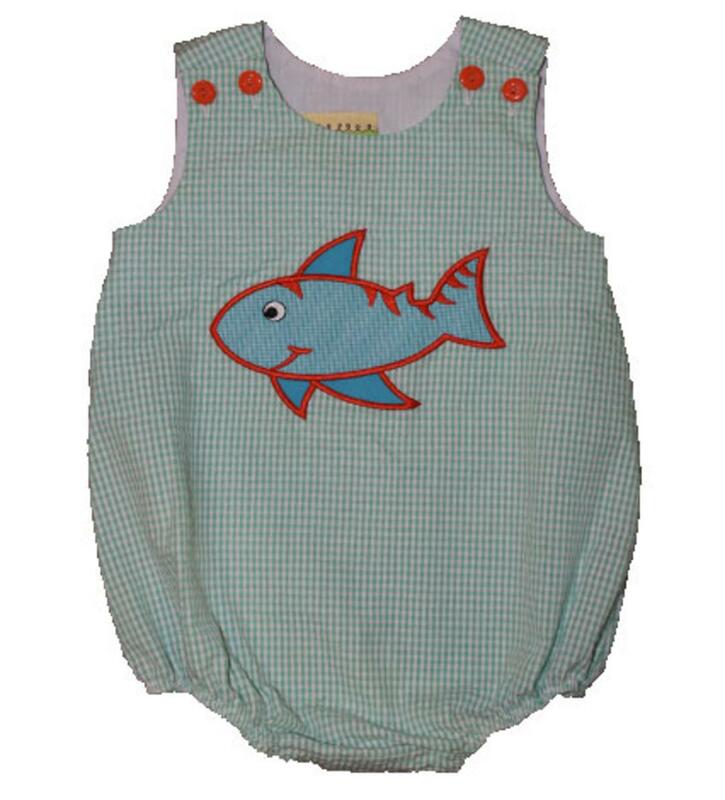 This seasfoam green seersucker bubble has a turquoise and dark orange shark applique on the chest. There is two dark orange buttons on the shoulders to get on/off easily and snaps on the inside of the legs to accommodate diaper changes. This super comforable outfit is 100% cotton and the legs have elastic.